Hi! I'm Daniel Gubalane - former Physics and Chemistry teacher and now a freelance web developer and blogger. I graduated from Visayas State University with a degree in Education but I guess teaching in the high school setting is not for me. I love teaching Physics but the demands and responsibilities of being a teacher in the Philippines is more than I can handle. Hence, I will just teach online using this site. I hope you enjoyed and learned in my Physics and Chemistry as well as software and web services tutorials. I'm also obsessed with technology. When I was teaching, I always prepare the Powerpoint presentations for the events in school. I was the man behind the LCD projector, hehe! 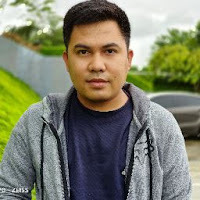 I have another tech blog, Pinoy Techno Guide that focuses on gadgets like smart phones and tablets in the Philippines. I tried to mix gadget reviews and software tutorials in Pinoy Techno Guide but tutorials need a better and cleaner format to be effective. If you like my articles here, please follow me in different social media outlets so that I can get in touch with you. You can find me on Facebook, Twitter, Google+ and you can also receive updates in your email by subscribing. Enter your email in the text box below and hit subscribe. You can also contact me if you have more questions.